Yesterday the stock market fell almost 4% on the Nasdaq-100 and more than 3% on the S&P 500. After a relatively calm morning open, something happened midday triggering a technical wave of selling. This took the market into a sharp slide worth almost half of an official correction all in just one day. The selling was indiscriminate and investors ditched the good and bad, leading some quality stocks to fall more than they should have. Square (NYSE:SQ) is a perfect example of that. It fell 12% in a few hours and for no specific reason of its own. So far, the worries this year have been over tariffs but yesterday’s route was related to the action in the yield curve. A secondary wall of worry this year has been the U.S. Federal Reserve. They are in a tightening cycle and their actions have narrowed the difference between short-term and long-term rates to a point that hasn’t happened seen since 2007. As a direct result of that, the Financial Select Sector SPDR (NYSEARCA:XLF) fell over 4% just yesterday. Banks are in the direct line of fire of this inversion threat. If short-term rates become higher than long-term rates, it will cost them more to lend. Borrowing at higher rates to lend at lower longer rates becomes a losing proposition. Then banks would stop lending. The lack of lending will bring growth to a grinding halt. Economists predict that after the yield curve inverts a recession follows in about eight months. There is still a chance that this is a head fake test of the inversion of the curve. Nevertheless, the fear is real and the selling is somewhat justified. However, therein lies an opportunity. Financial technology companies like Square don’t depend on lending as much. For now, they are caught up in the bank selloff and unjustifiably hit here at the same rate as regular money centers. I can understand selling Bank of America (NYSE:BAC) stock down by 5% on those fears but SQ stock should not be punished as hard, let alone twice as hard. Even after yesterday’s debacle, Square stock is still up 75% year-to-date. What made the stock a success on the way up, turned it into a falling machete on the way down. Before you peg me as a perma-bull on the stock, back in September when everybody loved the stock on its way up I shared a write up to short it using put options. Transactor companies which also includes Visa (NYSE:V) Mastercard (NYSE:MA) and Paypal (NASDAQ:PYPL) will thrive for years to come. The retail consumer is still spending strong. More importantly, almost all transactions are now electronic so the demand on their services will only increase from here. 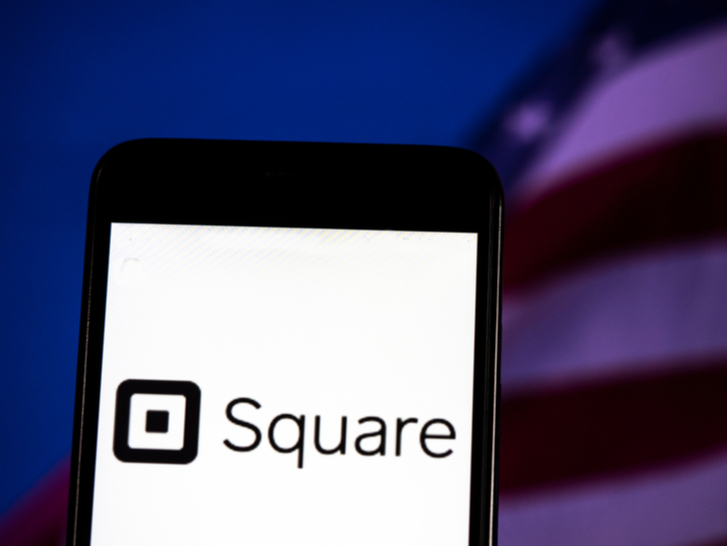 Square is a momentum stock which makes it difficult to trade with conviction. When it’s falling it appears falling into an abyss and buying it becomes a scary proposition and a tremendous financial risk. While I don’t know if this is the bottom for square stock I am confident that a 12% drop in one day for no reason is overdone. Considering the macroeconomic risks that are still in there, I have to exercise caution. So until we get more clarity on tariffs, rates and currencies, I would rather start nibbling long square using the options market. If I am unable to use options, then I start with a small position in SQ stock. This leaves room to average down if there is much further downside to go. The options strategies are many but I prefer to sell puts so I can leave a big buffer between current price and my risk. I don’t even need a rally to profit. As long as the price of SQ stays above my strike, I profit. Compare that to when I buy the shares outright, I put my money at risk right away and with absolutely no room for error. Do not confuse this opinion as a statement about value in Square. This is not a cheap stock as it still runs in the red. It is a pure bet on future prospects but it does reward its holders as evident by the year-to-date result. Management positioned the company well and they even have forays into bitcoin and blockchain technologies, so they clearly have long-term plans. Cooler heads will prevail in the next few days and markets will come to term with what happened. Meanwhile, I’m humble enough to recognize that there are technical and fundamental risks. Nevertheless SQ stock is a risk that I’m willing to take for the long term. Momentum stocks like this almost never give us a clear point of entry. When everybody is panicking it is probably the wrong time to do so. Extremes are almost always wrong and yesterday appeared to be an extreme move by many standards. Article printed from InvestorPlace Media, https://investorplace.com/2018/12/buy-square-sq-stock-dip-2018/.